Teachers are, in general, life-long learners. This is especially true in the current era, like it or not. The advent of technology and its implications on education require not only an understanding of the tools themselves, but more importantly, the pedagogy that supports it. Couple that with the 21st Century Skills initiatives and the arrival of Common Core and Next Generation science standards, teachers can easily feel knee-deep in opportunities to stretch their own learning. Whether schools and districts are supporting teacher professional development in a just, rewarding manner is worthy of discussion, but we won’t go there now. In many instances, those teachers who are “rock stars” got there on their own, fueled by their passion and the love of the students they serve. And for every rock star, there are untold others who want to be there, but are not sure of how to proceed. 1. Start a professional learning community at your school. Similar to a book club, PLCs bring together like-minded professionals to discuss topics important to them. Keep your topic broad (initially), and study up on it. Create a shared document to post resources. Determine a need, set a goal and strategies, and together work to reach it. SEDL is a thorough resource on educational PLCs. 2. Subscribe to quality blogs and newsletters. You already have one (and we thank you! ), and here are some of our favorites. You can find others at Teach100, a detailed collection of education blogs. 3. Use those resources to find quality webinars on topics of interest. View them with other teachers so you have a partner in any goal-setting you may do. ASCD's free collection may be another place to start. 4. Attend conferences when you can. In California and Nevada, join your local CUE (Computer Using Educators) affiliate for more information about state and local events, as well as online resources for professional development. 5. Use your Twitter account as a resource. Follow #edchat, #teachers, and other education hashtags to see what inspires others. You’ll quickly see who puts out quality information and who to follow. Follow us @ccedtech. 6. Go back to school. Yes, this is a biggie, but thanks to MOOCs and other online course offerings, it’s more doable than ever. There are a number of quality online master’s programs in instructional technology available. Also consider Leading Edge Certification or Stanford online courses. Bottom line, teachers who want to move ahead and do cutting edge work need to associate themselves with like-minded people. There are many out there. Use social media, PLCs and ed tech newsletters to find them. Most importantly, enjoy what you are doing! Let us know what resources you use to connect with others. Wanted to get this out now - looks like a deadline is looming (I believe this upgrade is only til 12/31/13). You can still upgrade to a free education account on Thinglink. If you do not yet know about Thinglink, it's an interesting tool that allows teachers to upload an image, tag it with links to web content, and then share that image with students. Students can look at an image, start clicking around, and be taken to other relevant web pages, add their own comments, and more. I'm new to Thinglink, but it looks like a golden opportunity to easily add a simple to use, creative and collaborative component to your classroom. Here is an example of what you can do. Learn more about what can be done by watching this Making Interactive Pictures video. 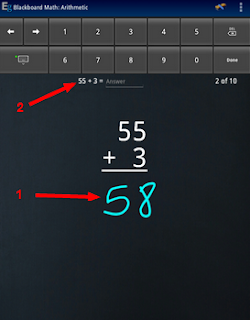 There are several ways Thinglink can be used in the classroom - math (factoring polynomials! ), language arts, science, social studies and more. Here's a Pinterest Thinglink board with some ideas - check it out! And one more Thinklink Edu Pinterest board for your viewing pleasure. Get creative! If you're using Thinglink, please let us know - it's an interesting tool with many applications in education, and we'd love to know your experiences and creative ways it's being used! I recently attended ISKME’s Big Ideas Fest in beautiful (cold) Half Moon Bay, California. Major kudos to the ISKME team for putting on a well-organized and enjoyable event! This was my first visit to the Big Ideas Fest, and it was a positive experience for me. “BIF” brings a wide variety of teachers, students, policy makers and others together to discuss innovative ideas to issues in education. From those discussions, “projects” meant to find solutions to the challenges in education were brainstormed. It’s a unique approach, and I will be interested to see how the work done is used moving forward. The opening Keynote speaker was Shiza Shahid, who is the CEO and co-founder of The Malala Fund. If you have not heard about it, Malala’s story is beyond remarkable. In 2012, Malala Yousafzai, a Pakistani girl, was pulled off a school bus and shot by the Taliban because of her support for girls’ education. After the shooting, Shiza was side by side with Malala, who she has known well since 2009, as she recovered from being shot. As a result, Ms. Shahid became VERY involved in the issue of a girl’s right to education. The Malala Fund is, for one, fighting for schools in many impoverished (or otherwise anti-school) areas, and is working at a grass-roots level to effect change. Ms. Shahid did a fantastic job illuminating this problem, and the opportunities. The Malala Fund looks to be one way to help change this situation. Moments after her keynote speech, Shiza Shahid was given the 2013 ISKME Innovation in Action Award , which she graciously accepted. Great job, ISKME! Contini Corner: The Teacher's Desire to Learn? I think there's a powerful point to be made here... overcoming momentum or something... I think this is an interesting post about a teacher's desire/ability/time to try new things. Not true for all teachers, certainly, but a bummer that it does exist as much as it does. What do you think? Hour of Code started - resources here! I know I may lose more than a few of you with a title like that... Take two minutes, and please keep reading! During the week of December 9-15, there is an opportunity to give each student ONE HOUR of exposure to computer science. You can still participate... Here are some resources, and some short explanations. The Code.org homepage is the launch point for an inordinate amount of info about exposing our students to computer science in fun and useful ways. Here's the educator resource page from code.org with more details about how you can easily/painlessly (no, really!) expose your students to computer science. Here's a good overview of the Hour of Coding concept from Edsurge, a leading tech newsletter where I find all sorts of gems about edtech. Finally, also from Edsurge, more educator details on how you can dig in and help your students get some exposure to computer science. It's got how to info, a good list of ipad and other resources for kids to practice coding, and much more. I know for some (many?) of you, this may be an area of discomfort (or complete lack of interest! ), but I do hope more than a few of you look into the opportunities identified in the above links, and that you'll give your students some chance to learn more about computer science, an area of ongoing job growth in our nation. Consider it, please.... "If not you...then who?" Just sayin'. This past week took us to IKSME’s Big Ideas Fest, a gathering of education professionals joining together to transform education. Tucked in between a host of dynamic speakers and a phenomenal setting (Ritz-Carlton Half Moon Bay) were the Action Collabs, small group opportunities to identify, prototype and present scalable solutions to current challenges. This year, BIF hosted 170 attendees, placed into nine Action Collabs, who focused on the Common Core, Big Data, and Learning is Everywhere. Each Collab follows ISKME’s design framework that push educators to think provocatively before fine-tuning their challenge into a more feasible, scalable solution. You can’t be wrong – suspending judgment allows for innovated, provocative thinking. The Action Collabs followed a multi-step process to identify concerns in education by first unpacking the issue. This involved breaking into smaller teams, conducting interviews, and identifying common components that result from discussions. My Collab determined that our objective was to identify opportunities to tap student creativity as a means to achieving higher levels of learning and meeting common core standards. The process then narrowed our focus to “Students as Teachers”, and then identified more specific activities that would be actionable – in our case, getting students out beyond the school walls and into the community. We then prototyped four different ways of getting students out into the community, and selected one to move forward. That one was further fine-tuned to a school that, through a “passport” system, allowed students to work with community partners whose work embodied the standards in action. Once students accomplished specific tasks with the community partner, their passport would be stamped, identifying mastery and allowing them to share their learning with other students. This process took two and a half days to work through. It was exhausting at times. People’s knowledge and experience were quite diverse. Yet, following the Tenets of Collaboration, twenty-three participants came up with a really cool solution that at some point had buy-in from each of the members. Would this process work in your school? I see value at a number of levels. Key in the practice – think big before dialing it back to feasible; listen and build on what you hear; and allow the prototype process to work. Allowing failure to be part of the process invites improvement – don’t think your solution has to be right the first time. Keep an eye out for next year’s Big Ideas Fest. The gathering brought participants from all areas of education from every continent (except Europe, oddly). A very articulate group of high school students from South San Francisco High School kept the adults focused on what is really important – addressing student needs. Top Five Posts from Common Core & Ed Tech - November! Here are the top five posts from Common Core and Ed Tech that you won't want to miss! Thanks again to all our readers! Keep letting us know what you want to see! We are fortunate in the Bay Area to have a resource for nonfiction reading material for our classrooms, and it revolves around the local newspaper. 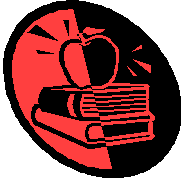 Newsschool is a literacy program that provides not only the physical newspapers to the classroom, but a fairly complete collection of lessons and resources for teachers to use, at no cost to the school. Newsschool is also available in an e-edition. The program’s lessons integrate reading into math, science, and thinking skills for all grade levels. Students learn how to read to gain information, determine what’s vital to the task at hand, and use what they read to support their claims. They learn to think critically and support their own opinions with facts. Students can use current events to make connections to what they learning in textbooks and other sources. These skills are all essential aspects of meeting the Common Core. The Kid Scoop Teacher page specifically addresses the Common Core and how to use newspapers to meet the standards. Teachers and parents will find warm-up activities, guides, videos and writing prompts. Creative teachers can devise their own units using the newspapers with ed tech tools students are already using. Use Fotobabble to put together a food pyramid using grocery store ads. Extend Poetry Play but creating a visual component in Prezi. Use a slideshow program like Animoto to narrate the Good Turn writing piece. Have students write their Monsters Wanted ad in Doodlecast. This program is not unique. A quick Google search found similar programs across the nation. Or contact your local newspaper to see if they have a Newspaper In Education program. Here's a fascinating post by Audrey Watters called Top Ed-Tech Trends of 2013: MOOCs and Anti-MOOCs, from her blog Hack Education (a personal favorite). It's a thoughtful review of the 'state of the state' regarding MOOCs (Massive Open Online Courses). Achieve the Core has identified three overarching shifts in the move to the Common Core standards for English/Language Arts. Having spent the better of three years unpacking the new standards, these shifts indeed spotlight where a teacher should focus instruction. Go to the Achieve the Core site to read more on "Making the Shift". All three remind us of the need to offer more robust content to students so they can build vocabulary, skills (such as inference), and habits (supporting arguments) necessary to develop college and career readiness. Use Little Bird Tales, Storybird, Voicethread, or Haiku Deck to 1) identify rich vocabulary in close reading and write a new story using it; 2) create a book of poetry on the weather, and 3) write your own textbook on animals, weather, geology, outreach activities. Instead of writing an essay, have students create a digital story based on a script. Use Popplet to brainstorm/storyboard; Google Apps to write the script; and Comic Creator, Powtoon, GoAnimate! or video to create the final product. Non-fiction text can be found on many sites, but be sure to check out Scholastic, Discovery and Digital Public Library. Also check out Newsela for current event articles that are scaffolded to your students’ lexile numbers. The week of November 18, 2013 is Geography Awareness Week, a great opportunity to revisit this critically vital curriculum area. If I had a favorite subject in elementary school, it was geography. The study of geography offers an interactive, physical component that appeals to those who need more kinesthetic strategies in the classroom. Additionally, it provides a real life application in the areas of language arts, science, social studies, and math. Geography can easily be assimilated into meeting your ELA Common Core standards. As teachers, we should address geography in every literature unit we facilitate. As a Resource: One often-heard concern for teachers is meeting the recommended percentage of non-fiction in reading. Why not integrate work that revolves around the different aspects of geography? National Geographic Education has developed a curriculum that brings fun, informational texts to students, arranged by grade level. As “Other Media”: The ELA standards call for comparisons of written text to other sources of information. Geography, by nature, offers students the opportunity to use maps, globes, graphs, charts and interactive tools to glean and apply information. One unit my students completed in 8th grade connected literature to immigration. To make this topic relevant to them, they tracked the travels of a relative who immigrated to the United States on Google Earth. They were asked to not only trace the journey, but also embed text and images to the map. Through Writing: Include one of the aspects of geography into an argument essay. Whether it’s a poetry unit on weather, or man’s influence on endangered species, aspects of geography can often apply. This also provides an opportunity to strengthen and build vocabulary. As Research: Consider having your students create an infographic on geography topics. Use Piktochart to create an interactive poster on the water cycle, ice cap loss, animal habitats, plate tectonics, or landforms. Creating these posters address both writing and research standards. How do you integrate geography into reading and writing? Let us know! Student Ed Tech Examples Wanted!!! In the various professional development sessions we do, a repeated request from teachers regarding tech-enabled curriculum is "GIVE US EXAMPLES!" We've provided some in these sessions, and the teacher feedback is often "more please!" Here's a starting list, sorted by subject, to spark ideas for teachers. We have also included the wonderful examples provided by the Florida Center for Instructional Technology in their Integration Matrix, and also Next Vista for Learning. These are great resources! We want to add to what we've gathered so far. We need more great student examples! And so, this is a call for your inspiring examples of tech-enabled student work. Do you have examples of student edtech work you can share? We're looking for videos, electronic cartoons, Google Docs, Prezis, word clouds, blogs, word webs, portfolios... anything of good quality that demonstrates student learning enabled by ed tech. If you have a lesson plan that goes along with the example, great, but if not, don't worry; often the result can tell the story by itself! Of course, if it is Common Core-based learning, all the better. If you are providing a video, PLEASE ensure you've received permission from the students in the video (otherwise, it should not be public anyway, right?). If it's a Google Doc or other student-identifiable piece, please take a screenshot or otherwise obscure any student identifying information. We will take a quick look to ensure what you're providing passes the requirements noted above, and then post the artifact and other info you provide. We're feeling our way here; we're hoping to build a significant repository of examples for teachers- and students - to use as they become more immersed in the capabilities and great outcomes possible with the use of technology in the classroom. Thanks in advance for your consideration and help! Let's grow this thing!!!! Last January I wrote about my students’ favorite brainstorming tool, Bubbl.us. Over the year though, a couple other excellent mind map applications have “bubbled up”. Mind mapping tools give students the opportunity to gather and manage information. They are great as a pre-writing tool, a place to gather research, or a means of formative assessment. Students can add images, video, and links to their notes. They are easy to use, and can be saved and shared with other learners. These tools assist students in meeting Common Core standards in both writing and reading. One easy to use option is Popplet. This application allows for mapping and adding all sorts of goodies, including images, free drawing, and video. It can be saved and shared for collaborative use. Popplet is has both web and tablet options. The free version allows for 5 maps. Check out the classroom account for educators. Another collaborative mind map option is Mindmeister. This application has a number of additional bells and whistles, including a notes sidebar - great for older learners. It too has both web-based and tablet versions, and free and educator’s accounts. ELA & Tech Integration: Go Big or Go Home? An observation: teachers sometimes put undo pressure on themselves looking to create complex, long-duration, multiple outcome projects when adding (effective) technology to curriculum. Something to consider - the sweetspot is probably just the opposite: ongoing, consistent use of technology to augment instruction, and perhaps not the Giant Project from Heck. When done well, project-based, tech-infused big-learning, higher-order thinking projects are awesome. But, it's not the only way, especially if you and/or your students are just getting your feet wet with technology. This certainly holds true in Language Arts. Whether students have access to a computer lab of desktops, a cart of Chromebooks, netbooks, iPads, or, dare I say "Android Devices" (gasp), ReadWriteThink is a go-to site. Many of the resources there lend themselves to small to medium sized assignments, some of which (for older kids, anyway) can get done in a class period. ReadWriteThink also includes lesson plans, professional development, and some interesting 'at home' resources, too. The searchable Student Interactives has many fun, engaging, easy to use tools. Check out Comic Creator, an all-time favorite. It does require Flash, and students need to get 'done' in one sitting to save results for sharing (not necessarily a bad thing...) Many of the tools include some lesson plan ideas, too, by grade. For the ipad, here are some great suggestions about apps for the Language Arts classroom. You can see more resources and ideas about (effectively) infusing technology into the Language Arts classroom in this post, too. One last thought...Google Apps for Education is a phenomenal suite of tools. I'll circle back sometime soon with more details about what "GAFE" brings to the student learning table for you and your students. There are TONS of 'quick hitter' options to apply to the classroom. What are some of YOUR favorites? Here are the top posts from CCedtech for the month of October! Just got done doing some testing on a newer app called Blackboard Math. Allegra, our first grade teacher, checked it out as well. We liked the blackboard style - the student is presented with an old-school blackboard with an equation on it; we eventually figured out that the practice page could be adjusted for '1 digit' calculations like 6+2. The addition, subtraction, multiplication and division problems would be valuable practice for students - this would be an effective app up to 4th or 5th grade. Overall, the interface is clean and easy to use. There's also some cool tracking available- it's set up to support multiple users on the same device, and you can look at a calendar to get a historical view of correct answers, and amount of time spent. Some good stuff there. There are some other cool tracking features - one is that screen shots of actual problems - what the students wrote in the 'blackboard' space - can be viewed later. Once I got my head around the interface - for instance, understanding that I couldn't actually enter the info as I wrote in the slate area (#1 in image below) - I was good with it. There's a keyboard that appears (or can be locked 'on') up at the top - once the student writes out their work 'longhand' in the slate area, they type their answer up top (#2 below). It was easy to use. No real frills in the app (a good thing, to me). It's designed to focus on actual practice time and getting better at math - no fireworks, no dancing elephants, and it's not a game. It is, simply, an effective way to practice math facts. If you are looking for an Android app (with no ads!) that can help students practice math facts, this is a good possibility. There is a free and paid version, too; the free version still has some valuable capabilities. Check it out! This past weekend, educators from across California (and beyond!) gathered for FallCUE 2013 at American Canyon High School near Napa, California. We had the opportunity to present a session on blogging and were pleased to meet so many teachers interested in both professional and classroom blogging. We had the opportunity to attend the sessions of other educators, and picked up a number of effective strategies in integrating technology in the classroom. One tool I heard glowing reports about was Doctopus – a solution designed to manage the workflow of students’ Google documents and presentations. Doctopus is a Google script that allows teachers to pre-generate and share template documents. They can then manage grading and provide feedback to individual students or groups via email. Teachers simply use a Google Spreadsheet to upload the student information, connect to the Doctopus script and set up the sharing. 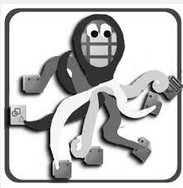 Here is a great video by teacher Katie Grassel on how to use Doctopus. Doctopus seems like a viable alternative to Hapara. Doctopus is free (Hapara is currently $4 per student), and although it may not have all the capabilities of Hapara, those who use it claim they can’t live without it! In a prior post we examined quality tech tools that can be used as a means of formative assessment. I found another one – Quick Key. Quick Key uses your smartphone to grade simple multiple choice and true/false assessments. Using a provided bubble answer sheet, students take the quiz, and the teacher uses a scan function on the app to capture the answers and score the quiz. The teacher then downloads a spreadsheet with the scores to input into the gradebook. It’s very cool! I tried Quick Key this week, and am generally happy with it. After scanning, the display quickly notified me of the student name (through an ID number), the number of answers correct, and if there were any questions no responses, before allowing me to scan the next quiz. This notification was especially important, as it allowed me to double-check names; and on a couple, pull out and manually score, as they indicated blanks where none actually existed. Some students used ink and crossed out answers, which required me to manually score too. Better instructions next time will eliminate that problem. Quick Key took little time to set up, and adding quizzes is very easy. The app is free, but only available on iOS at this time. They are working to develop the Android app. Check out their video below, then give it a try! The Best Thing Since Shakespeare! Having struggled with reading in my youth, facing the works of Shakespeare was a daunting experience. Reading and re-reading got me through it, but there was limited understanding and hardly a grasp of subtle context. Unfortunately, I never developed a love of Shakespeare as a younger reader. Now, there are apps that help students engage with Shakespeare in a more interactive way. 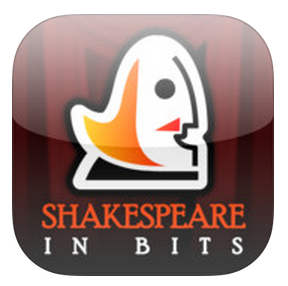 Check out Shakespeare in Bits, an app for iOS. It is a multi-media approach to learning Shakespeare. SIB offers the reader a number of tools that bring five of the Bard’s plays to life. The in-line translator substitutes common terminology for those hard-to-understand phrases. There is analysis, plot summaries, and notes. Most helpful is the biographies of the main characters. 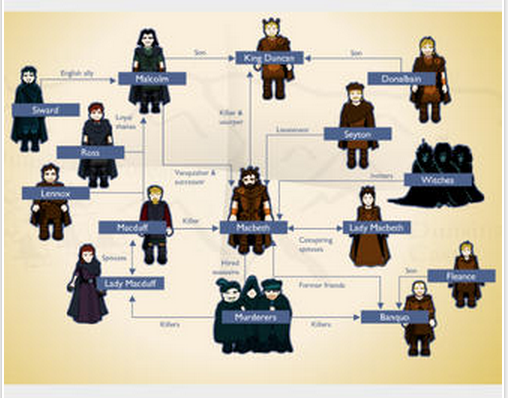 My favorite feature is the family/relationship tree. This app offers the perfect opportunity for flipped learning. Classroom discussions and more transformative strategies that reach for deeper learning can take place when students have the comprehension piece nailed down. This app will take care of that to a high degree. Please note that the app is free, but each play purchase is $14.99. The unabridged text is enhanced with images and audio. Plays currently available include Romeo & Juliet, Macbeth, A Midsummer Night’s Dream, Hamlet, and Julius Caesar. This app is great for both the student and the recreational reader. And yes, I have already started Romeo & Juliet! iGoogle's 'end of life' is coming up on 11/1/13. Been getting some good responses to this little YouTube video tutorial I created a while back, and thought it was worth re-posting here. igHome seems to be a fitting replacement for iGoogle, with similar functions and look and feel. The transition, explained in the 4 minute video below, is fairly easy. If you use iGoogle as your start page, or as an RSS feed reader, igHome is a good replacement to consider. Don't wait - iGoogle's demise is planned 11/1/13! We used to think the purpose of posting essential questions in lesson plans and whiteboards was to keep teachers on task throughout a particular lesson. At a more fundamental level, essential questions set the stage for further questioning, critical thinking and problem solving. Essential questions should make a connection to major issues, concerns, interests, or themes relevant to students’ lives. They are open-ended, non-judgmental, and meaningful. They invite an exploration of ideas and encourage collaboration. And, surprise, they integrate technology to support the learning process! Core-focused: The learning objective poses the question. It is the essence of what students should examine and know in a course of study. The same question can be re-asked throughout a main subject (for example, Math), but with increasing levels of sophistication. Inquiry-based: The question is open-ended and resists an obvious simple or single right answer. It precludes a creative choice that transforms the search for knowledge. Reinforce Thinking Skills: Requires students to draw upon content knowledge, personal experience, and other information they have gathered to construct their own answers. It causes students to search for an answer using critical thinking (ultimately using Bloom’s higher order thinking). Interdisciplinary: They usually lend themselves to multidisciplinary investigations, requiring for example, that students apply the skills and perspectives of math and language arts to social studies or science. Engaging: Should be created to provoke and sustain student interest. Engaging questions are thought provoking, likely to produce interesting student questions, and take into consideration diverse interests and learning styles. After reading through the information on what makes a quality essential question, a teacher realizes it’s more that identifying the day’s learning objective. The question pulls the students into the lesson even before the lesson begins. It sparks interest, makes a connection, stirs debate. Definitely worth the time to consider and post. 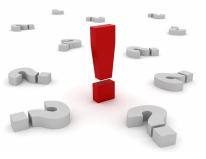 Refer to the guide to see samples of effective essential questions. This weekend our schoolyard has been transformed into a venerable math problem. How do you lay out a large carnival with rides, food and game booths, and a stage in a yard that is now consumed by a major building project? Geometry, physics, measurement, estimation, ratios – what we have going on is ripe with math and science opportunities. Real life application of skills is one of the highest levels of learning. How often do we take our students away from the textbooks and have them apply what they learn to real situations? What tools are out there to help you create those opportunities, especially in STEM areas? One solution is Eureka Math. 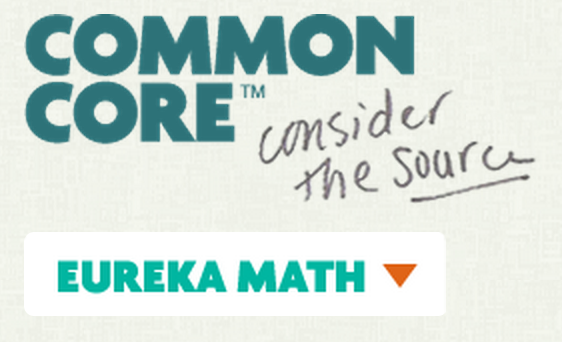 If you are a fan of CommonCore.org's language arts curriculum maps (The Wheatley Portfolio), take a look at their math maps, Eureka Math. Eureka Math provides a complete map curriculum for grades PK to 12, including lessons, videos and scaffolding. Created for the teachers in New York, these comprehensive math plans are aligned to the Common Core and can supplement whatever math curriculum your school has currently adopted. You can review units for grades 3, 6 and 9 online, but regular access is a very inexpensive ($30/year per grade level group). We know our readers enjoy great math resources. Please share what you like with us!